World Sailing ISO 12401 compliant Double Tether incorporates two cast lightweight aluminum double-action safety hooks, built-in stress indicator, welded O-Ring and Stainless-Steel snap shackle at the chest for improved security offshore, whether racing or cruising. Double arm elastic safety tether for improving safety during sailboat racing. Meeting all World Sailing Offshore Special Regulation requirements for strength, design, and features for sailboat racing, this EN1095, (also published as ISO 12401) Safety Tether incorporates two lightweight cast aluminum alloy double-action safety hooks, built-in stress indicator and welded O-Ring for improved security offshore, whether racing or cruising. The stress indicator features a bright overload flag that is exposed when the tether is stressed to the point of needing replacement (about 900 lb. of force triggers the flag). 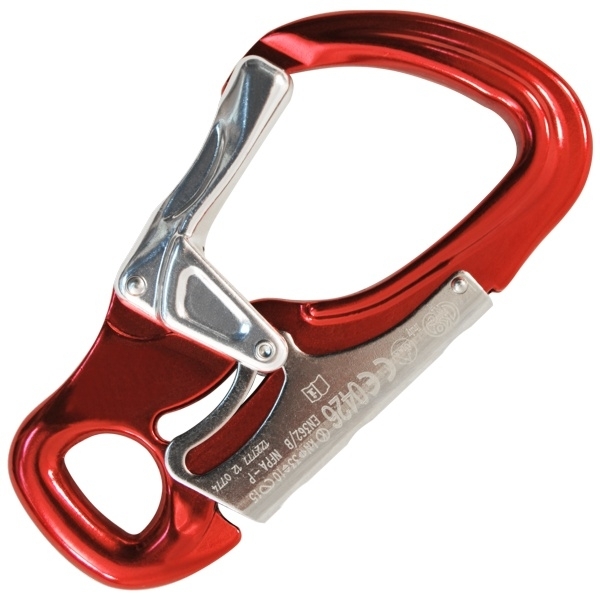 The boat-end aluminum alloy Kong Tango carabiner safety hooks have an easy-to-use double-action gate that automatically locks closed, so it won't accidentally release from attachment points. Yet, it's extremely easy to open in one ergonomic movement without pinching your hands. The short arm extends to 1 meter, the long arm to 2 meters. Internal elastic retracts both arms when not under load, keeping them out of the way. 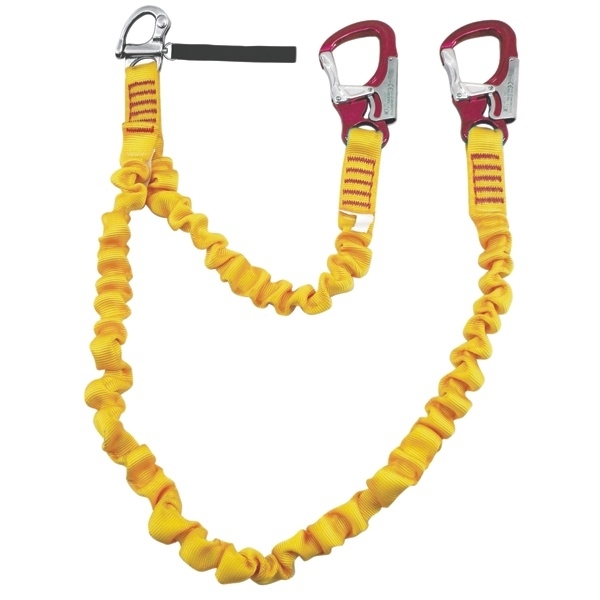 Nonmagnetic, stainless-steel snap shackle at chest releases from the harness under load. High-quality product completely made in Italy. NOTE: Certified for only one use.